This post originally ran in April 2013. We are rerunning it with Jurassic World opening this weekend. “If people knew where the sounds in Jurassic Park came from, it’d be rated R!” laughed Gary Rydstrom. The sound designer rang me up last week to discuss his work on the Steven Spielberg action classic, newly rereleased in 3-D; when the movie came out in 1993, it netted him two Academy Awards for sound design and mixing (he’s been nominated an astonishing 17 times over his career, winning seven statuettes). Though the Jurassic job was fun, Rydstrom remembers it as a tall order: He had to create dozens of distinct dinosaur noises essentially from scratch, since no one really knows what these long-dead animals would have sounded like. His solution was to spend months recording animal noises — some exotic, some not — then tweaking those homegrown sounds to create something otherworldly but still organic. 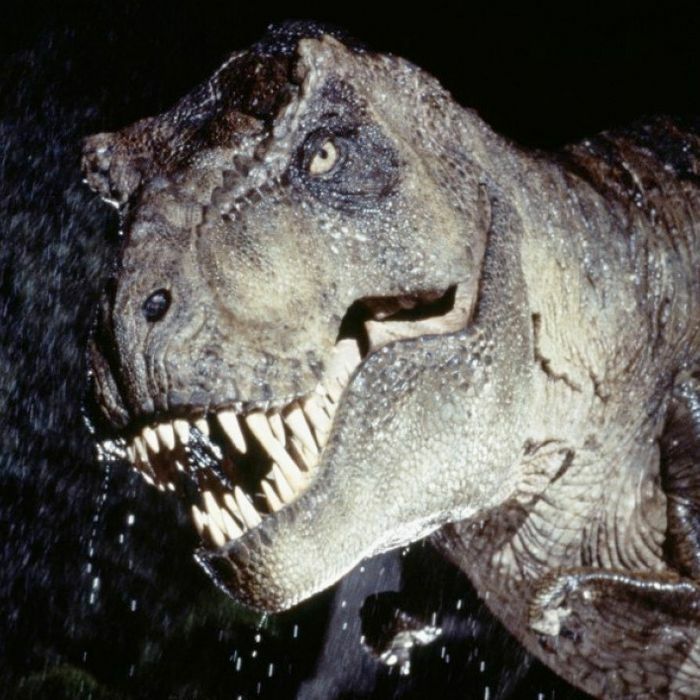 What recognizable animals did he use to mix together the raptor, the T. rex, and all of Jurassic Park’s other dinosaurs? Read on, if you dare: As Rydstrom implied, some of the sounds are sorta smutty.